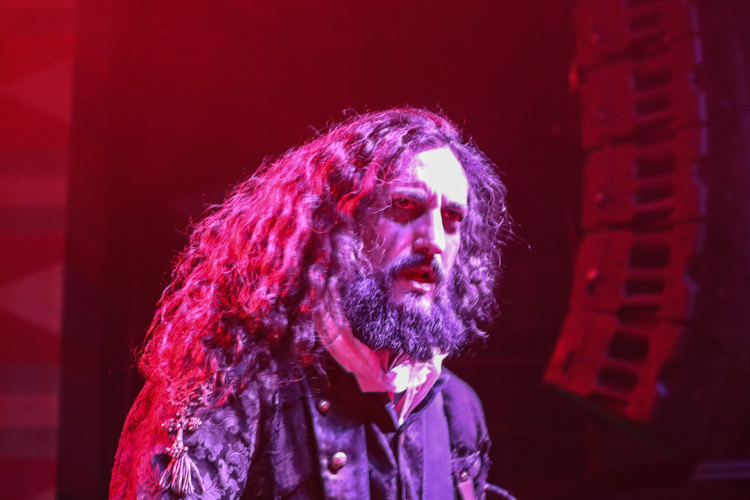 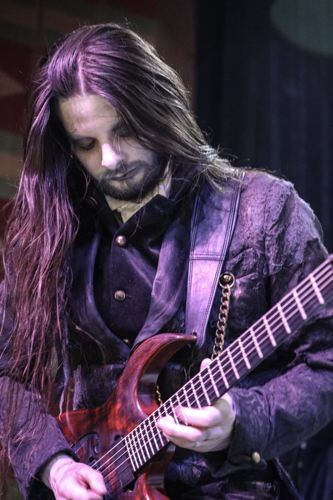 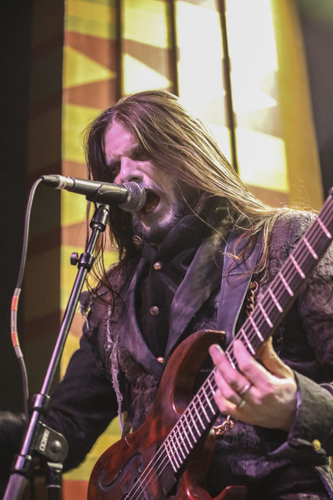 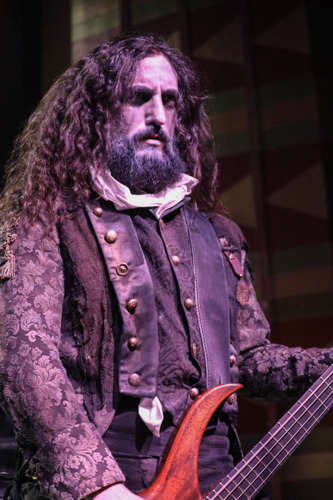 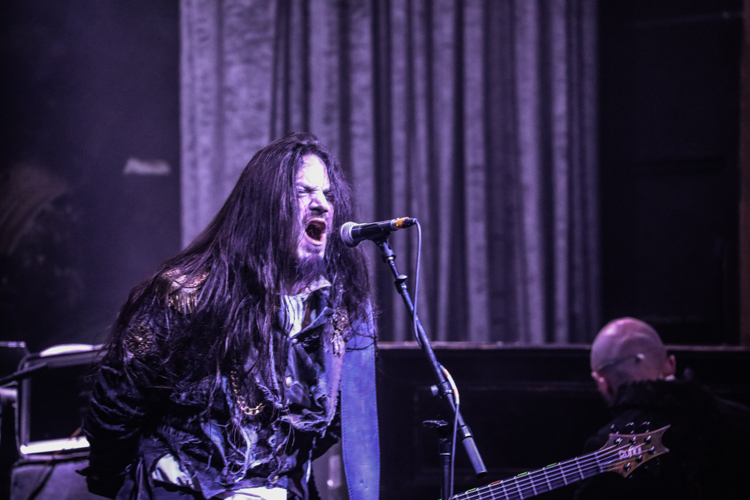 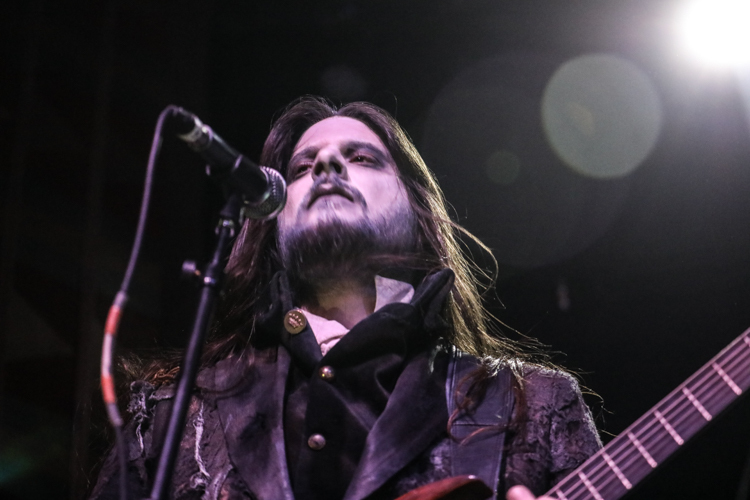 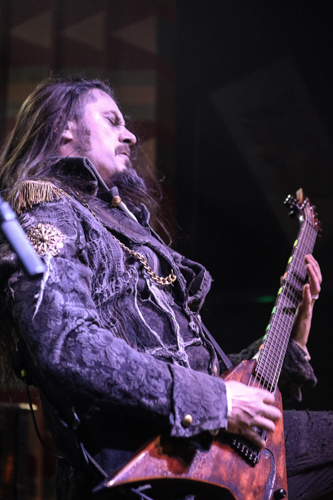 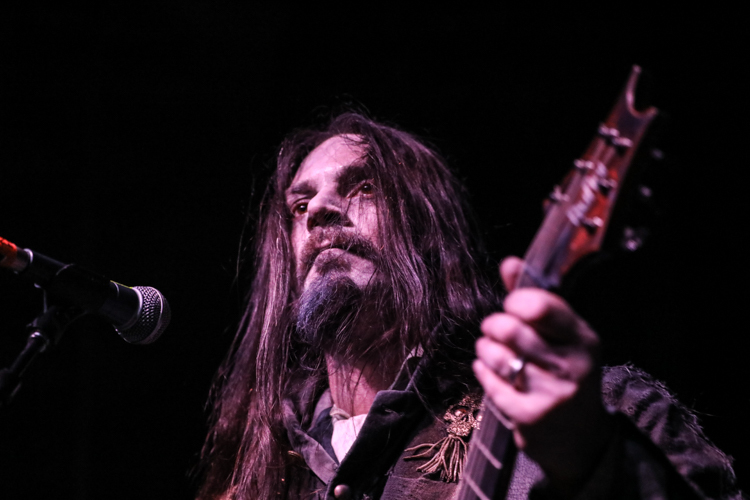 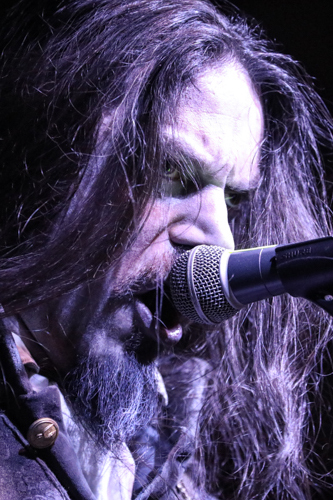 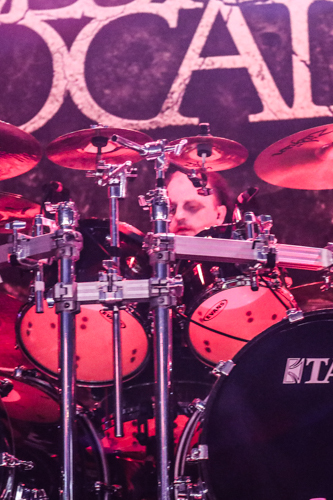 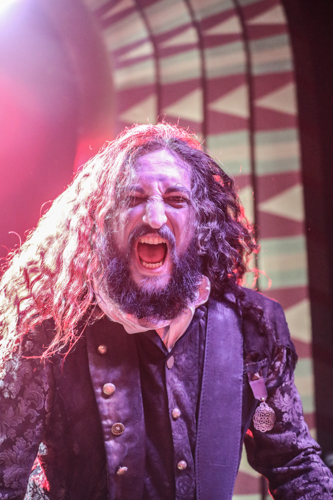 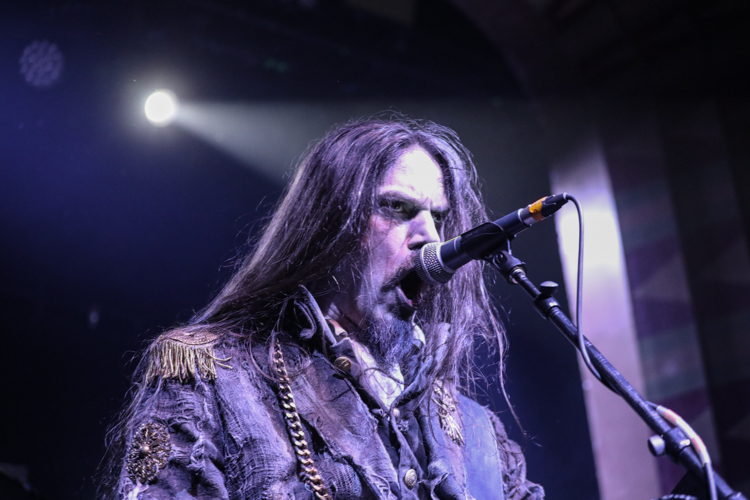 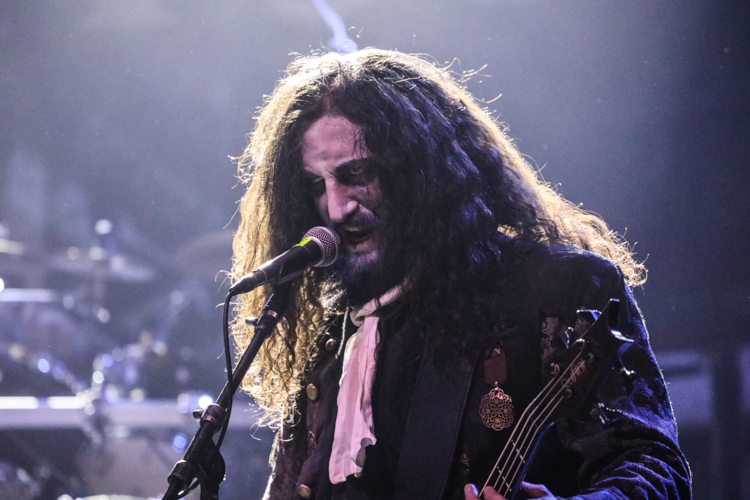 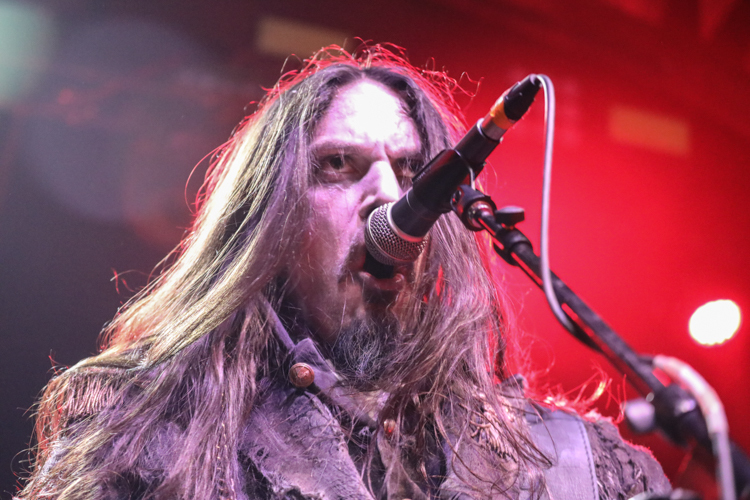 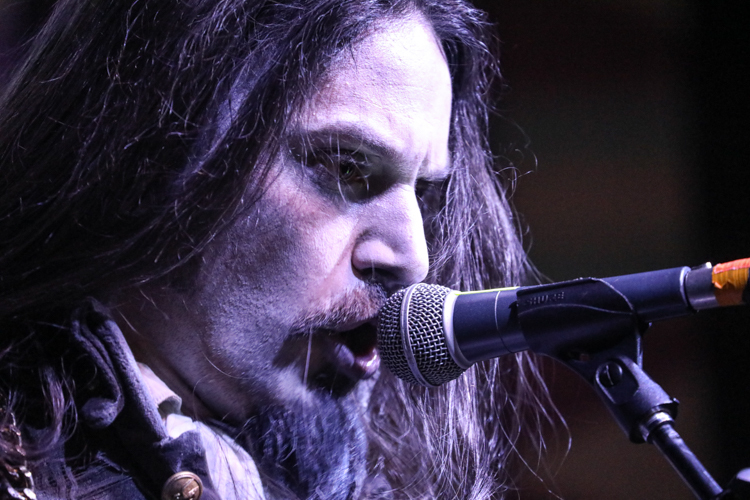 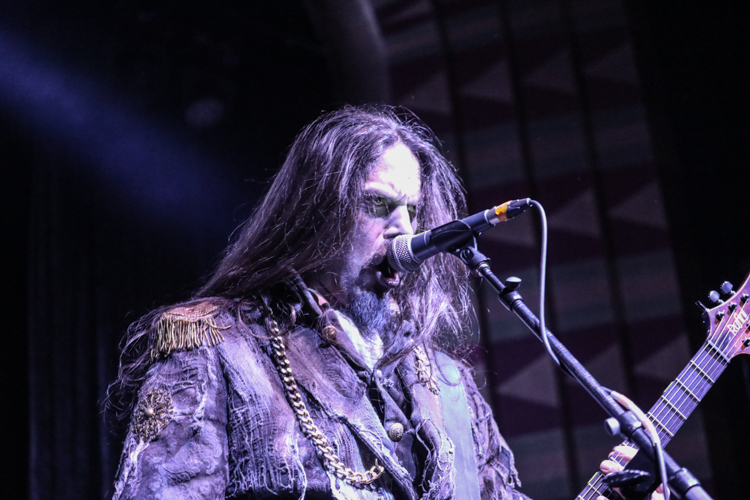 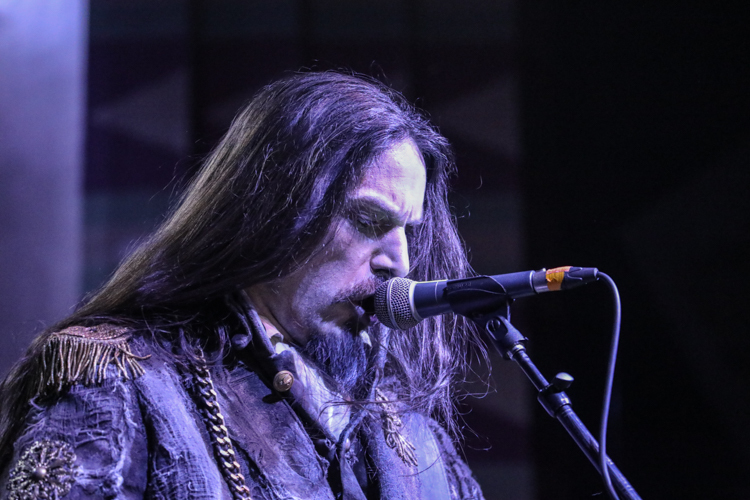 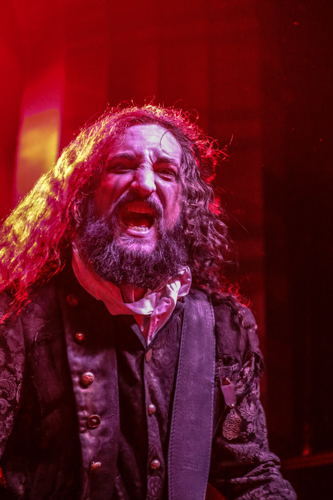 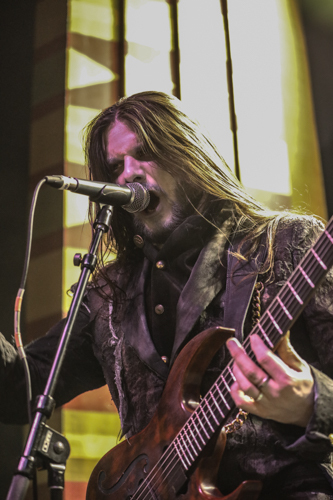 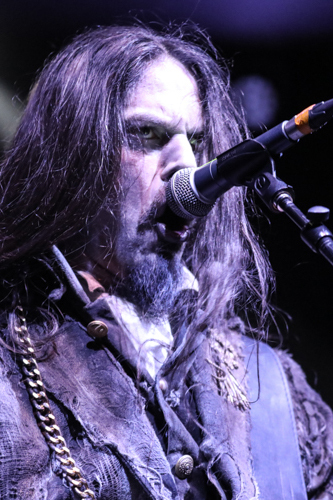 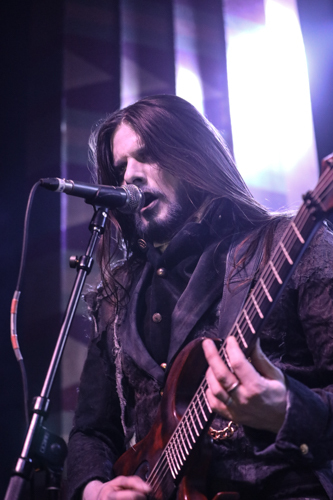 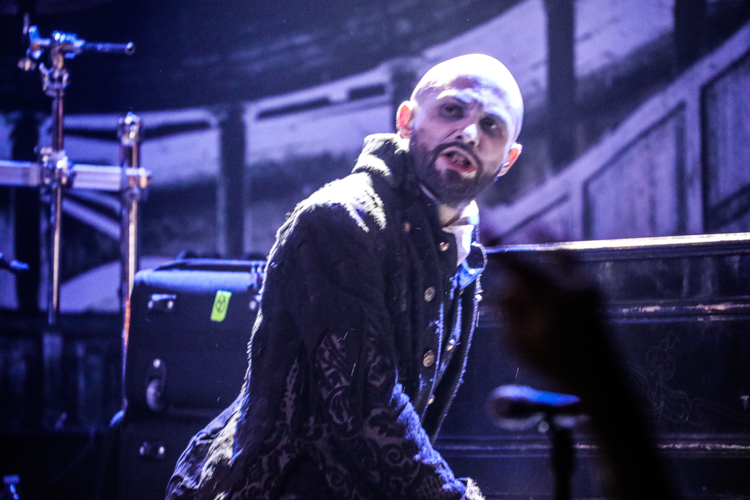 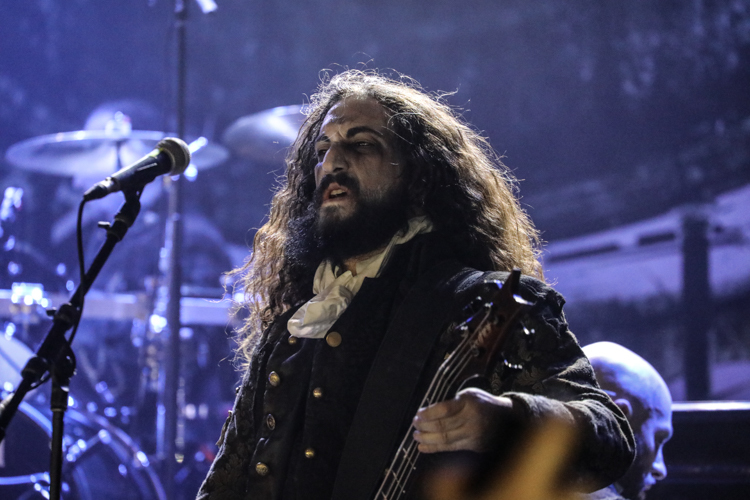 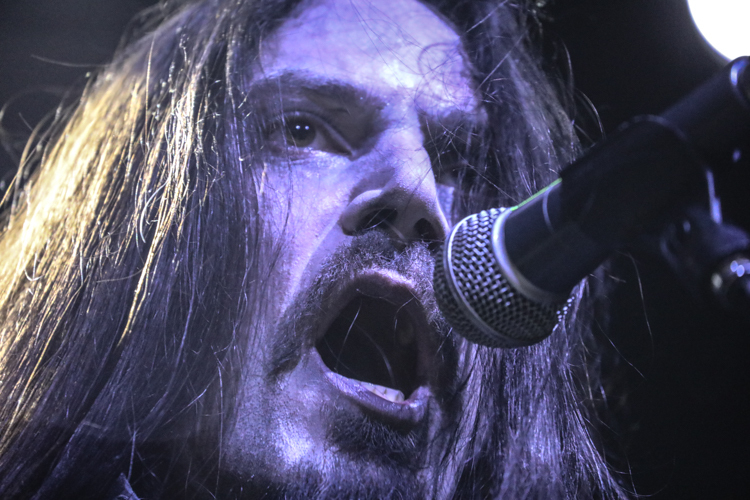 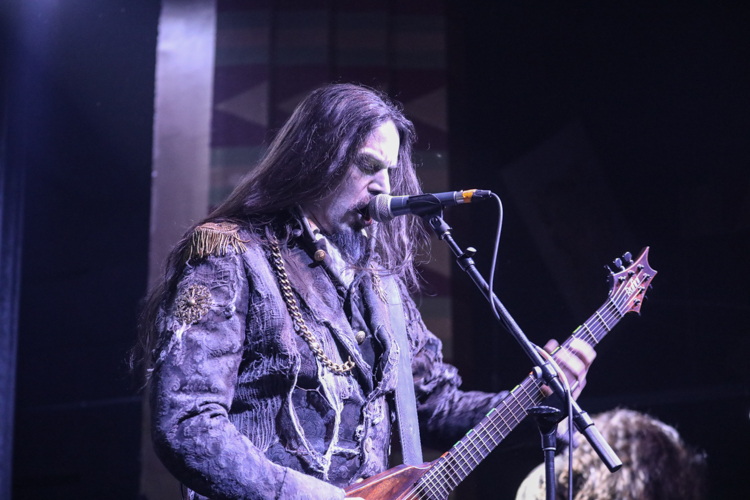 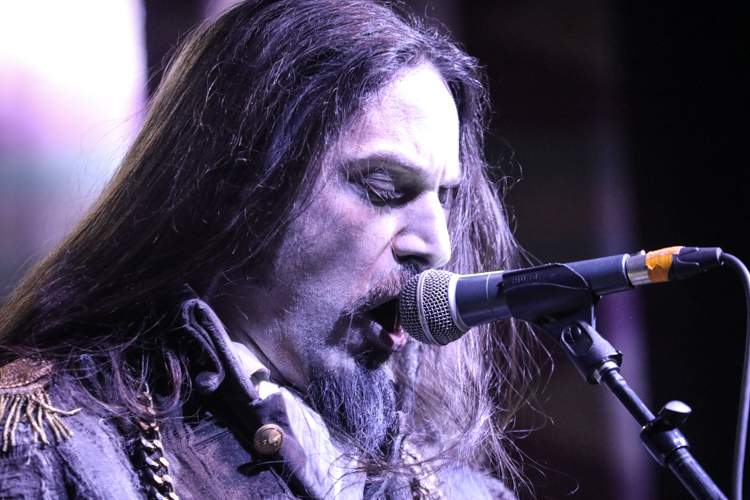 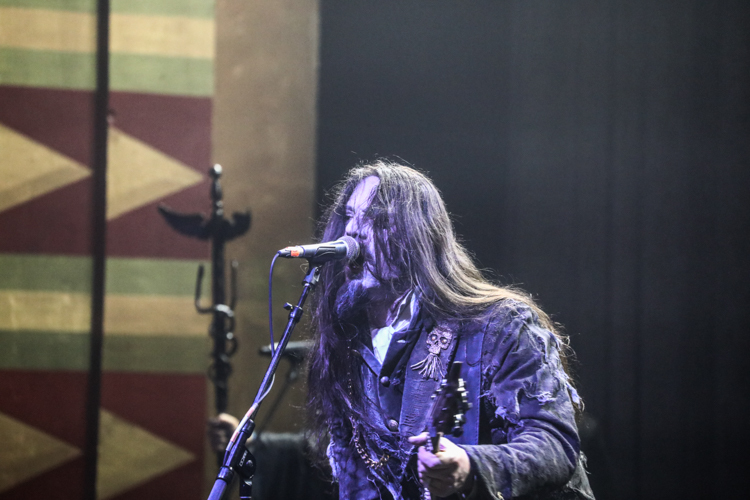 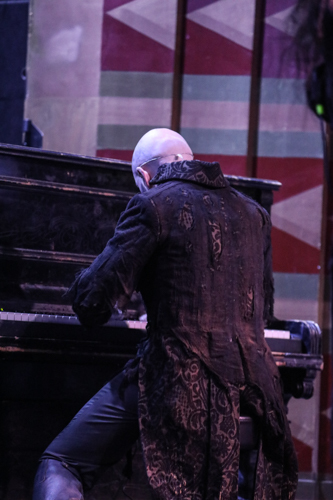 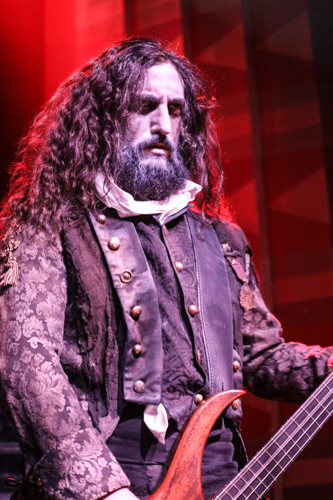 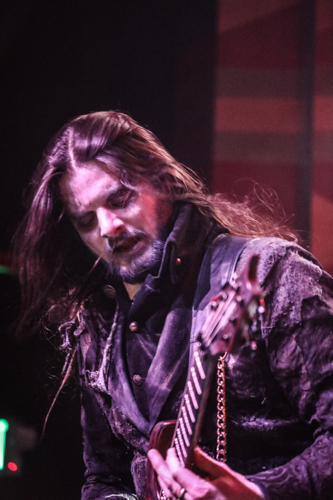 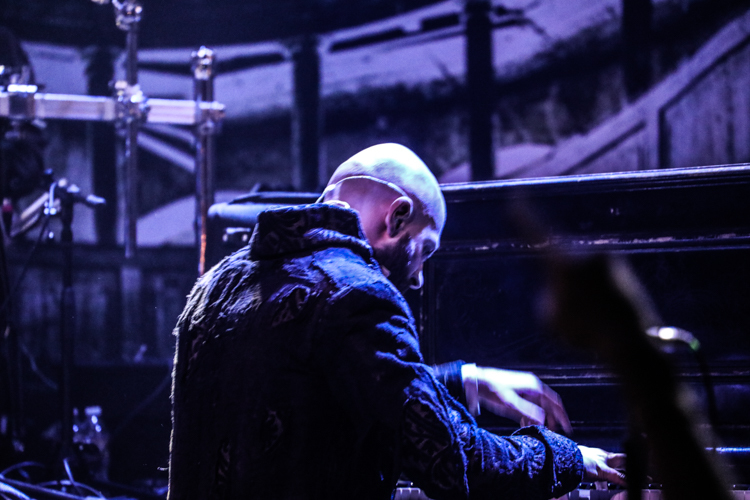 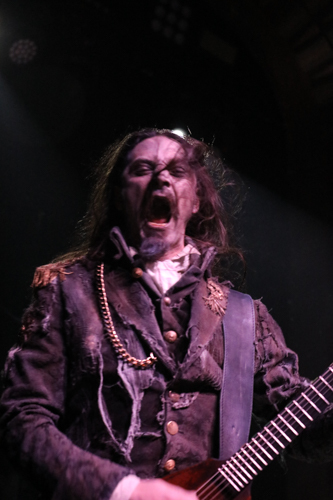 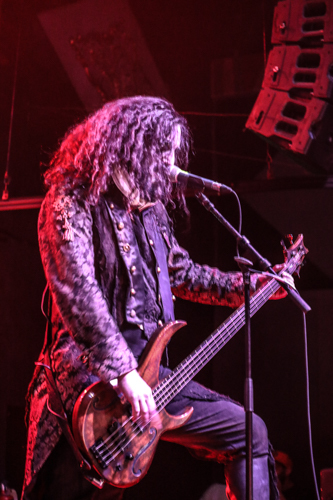 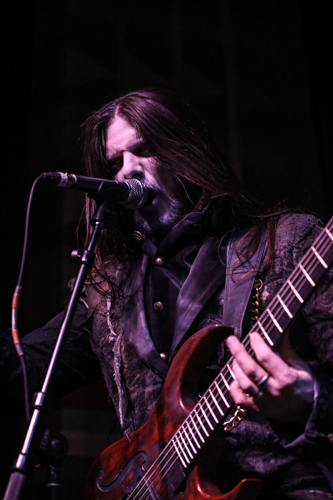 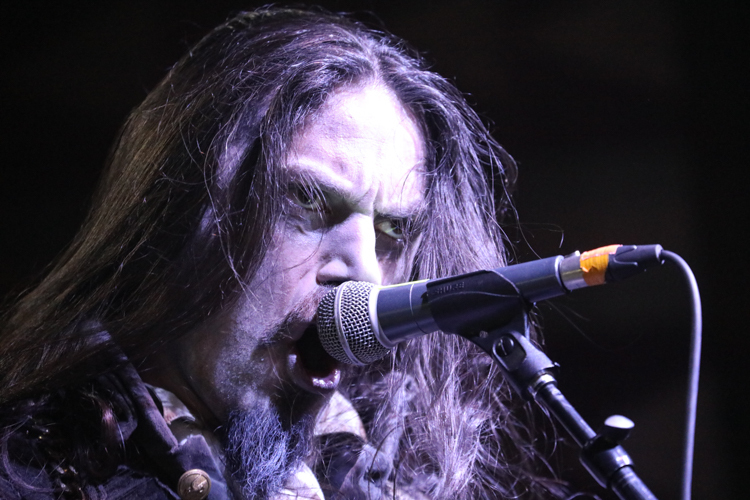 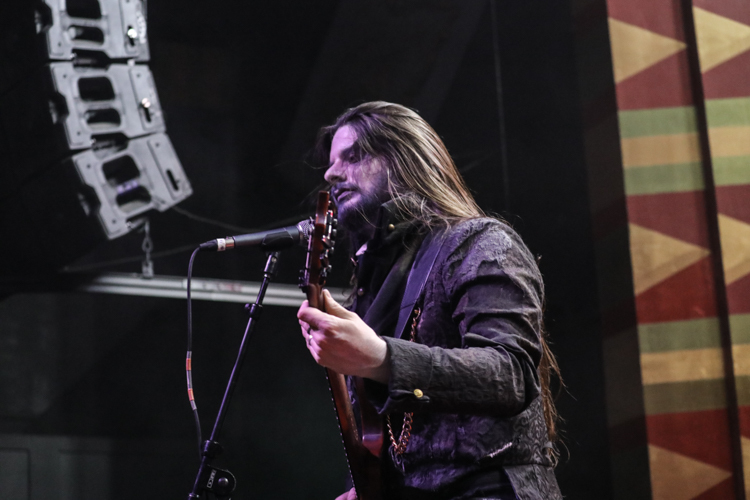 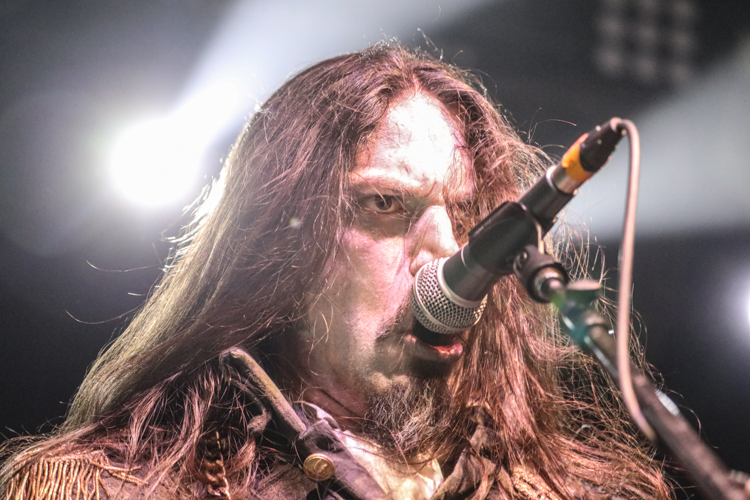 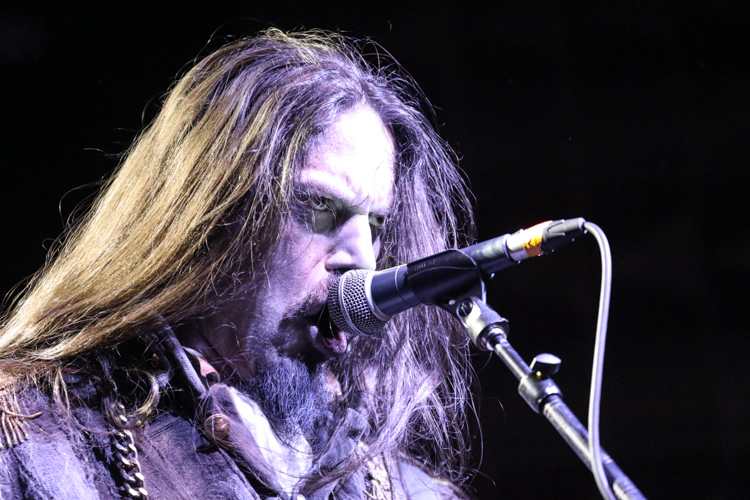 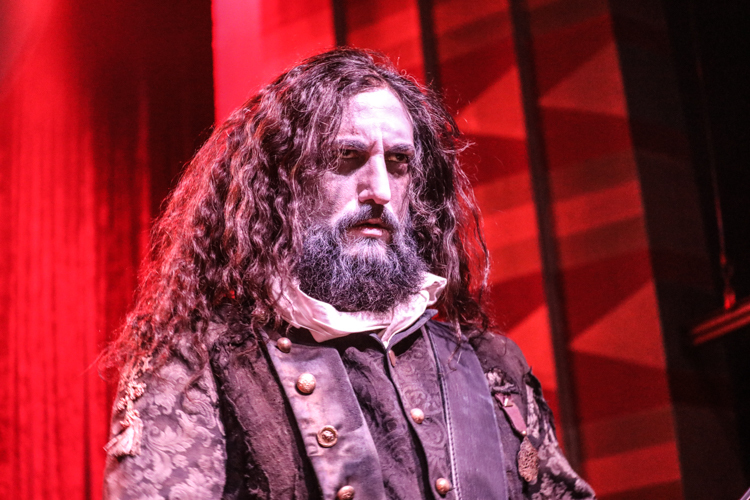 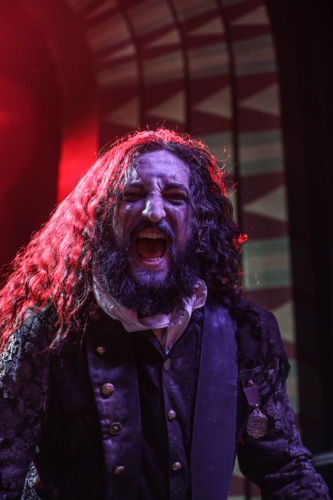 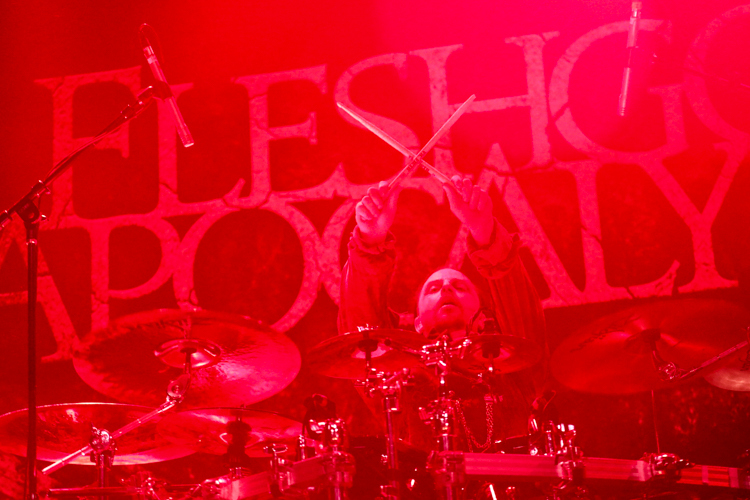 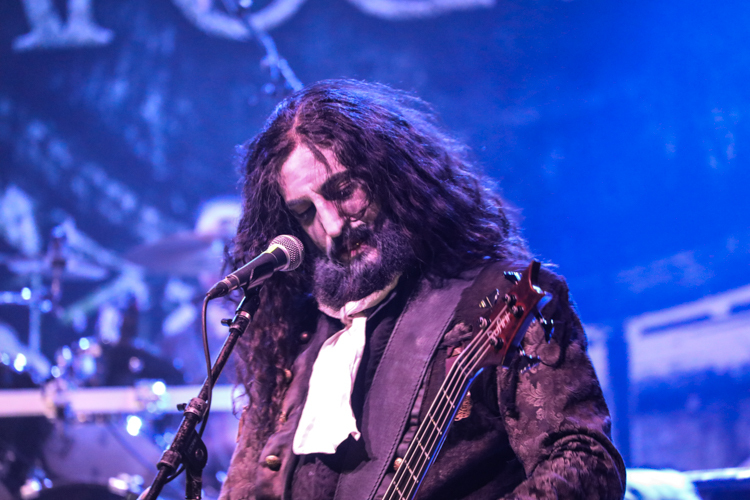 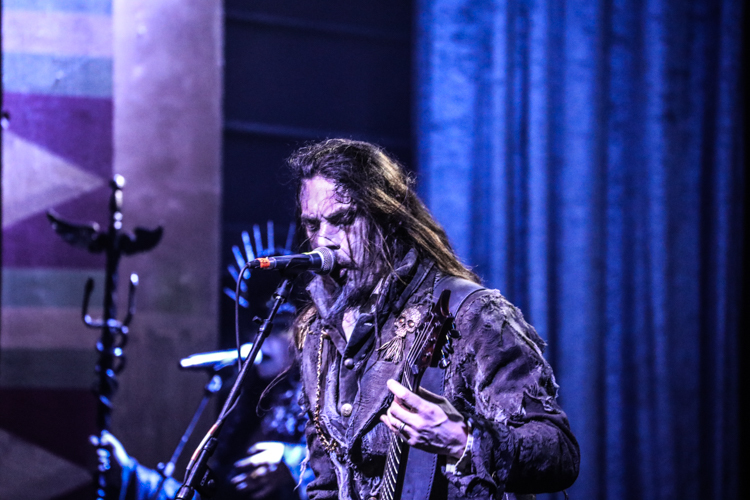 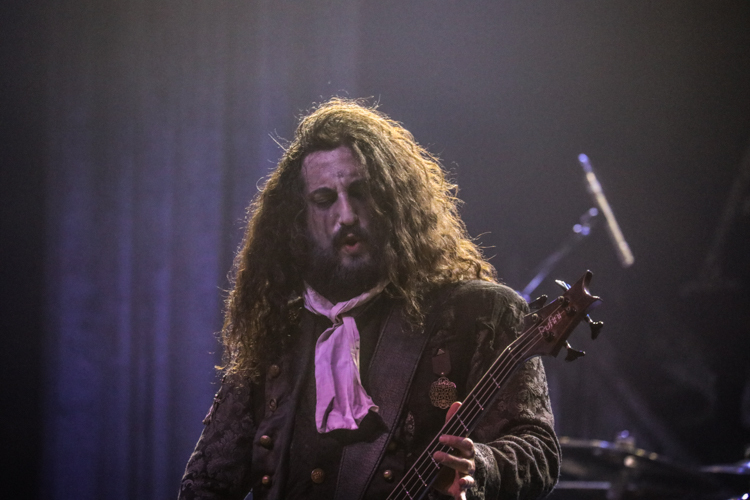 Fleshgod Apocalypse make their way through North America on the "Death... is Just the Beginning" tour. 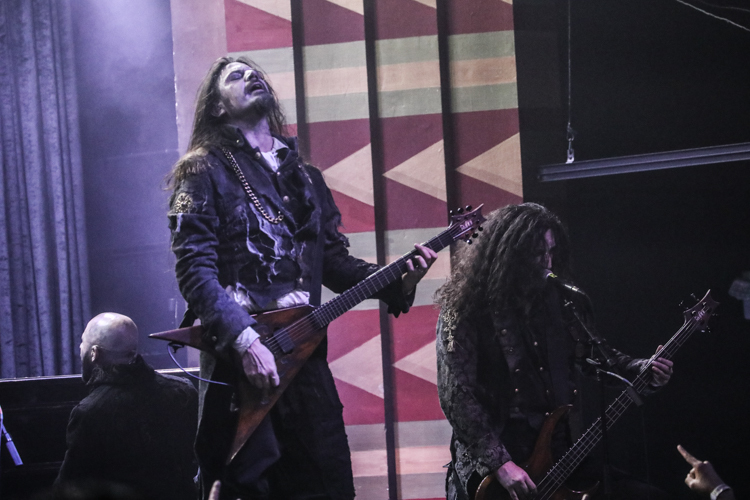 Hailing from Perugia, Italy, the band brings their own flavor of epic death metal, creating massive song structures where they combine the conventional trappings of the genre with classical elements including bombastic piano and amazing operatic vocals. 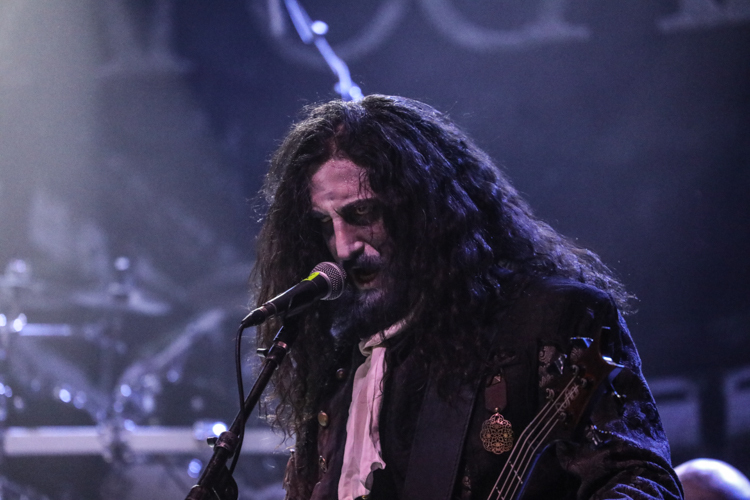 The band combines the talents of Francesco Paoli on lead vocals and rhythm guitar, Paolo Rossi on additional vocals and bass guitar, Francesco Ferrini on upright piano, Veronica Bordacchini provides the operatic vocals, Fabio Bartoletti on lead guitar and backing vocals, and David Folchitto on drums. 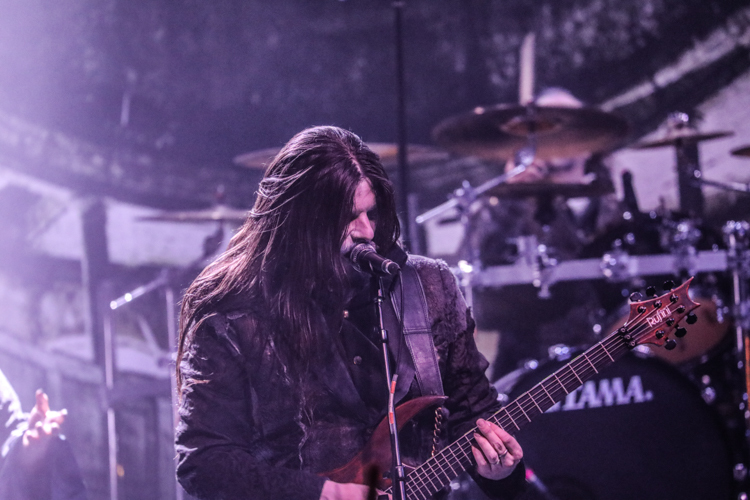 They started off the show with "The Violation" from their sophomore release, "The Agony". 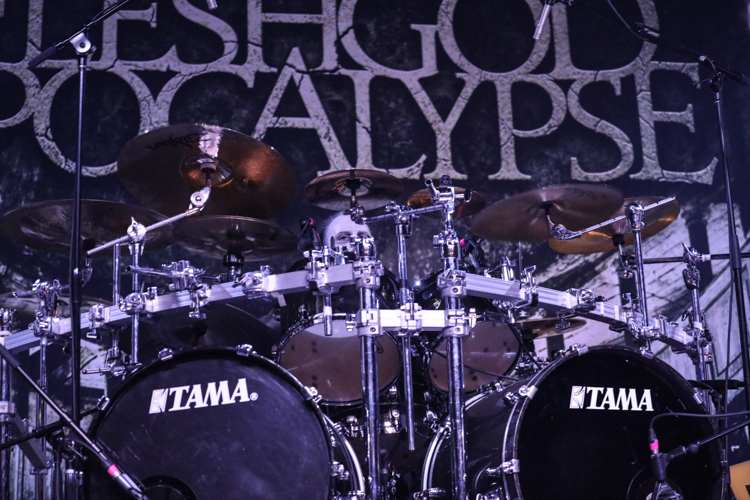 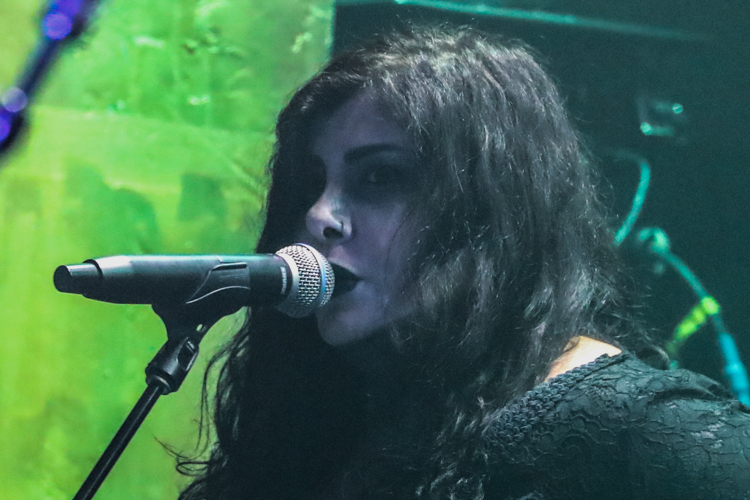 Right from the first note, the energy blasted through the venue with the enormity and complexity of their sound. 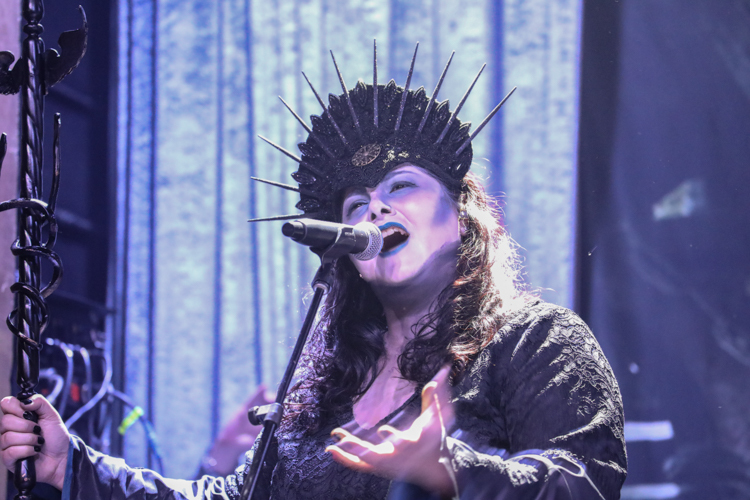 Combining all of their instruments and voices to a focused rush of sonic force, the audience responded with unabated enthusiasm. 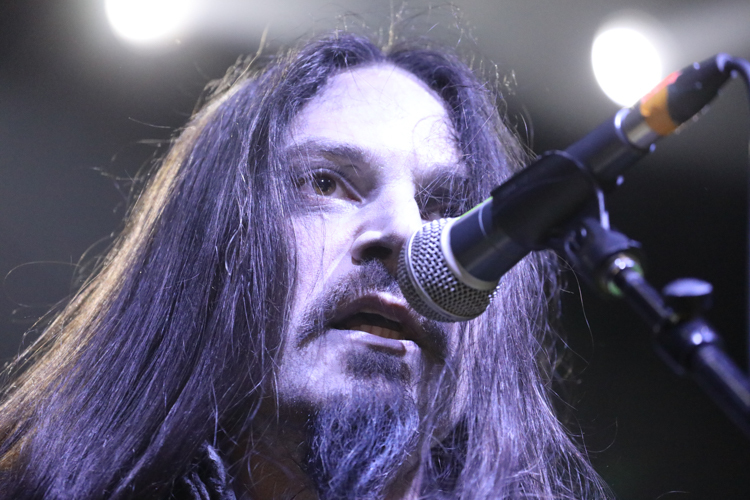 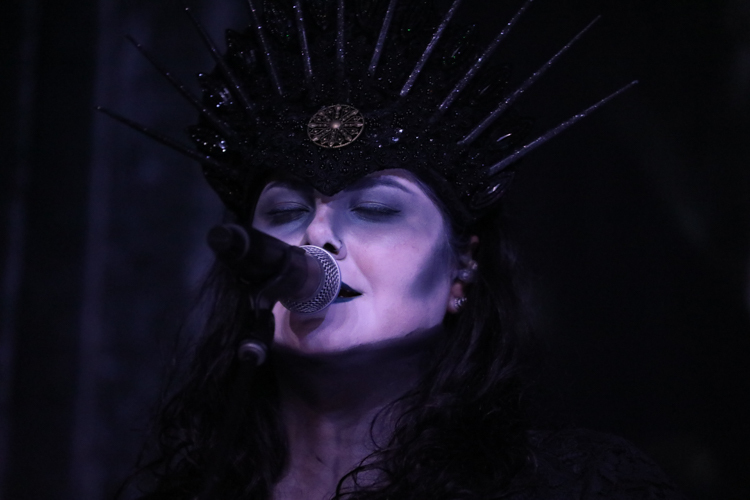 Their latest release, "King" provided the next two anthems, "Healing Through War" and "Cold as Perfection". 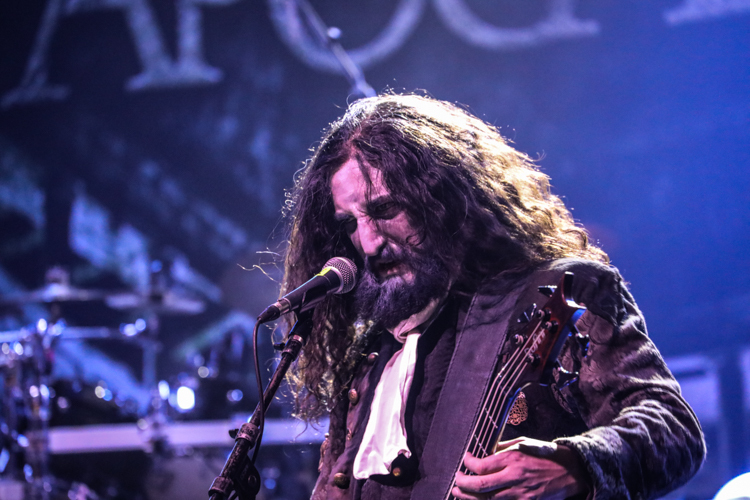 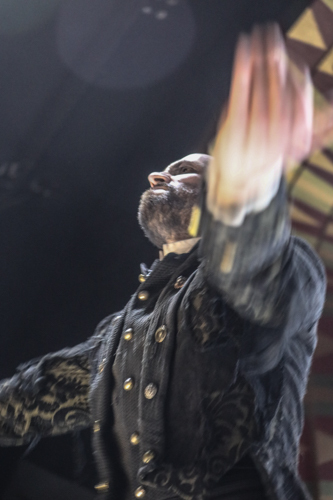 Fleshgod Apocalypse's albums weave deep tales and are predominantly concept albums that function as operas with their story telling and allegory. 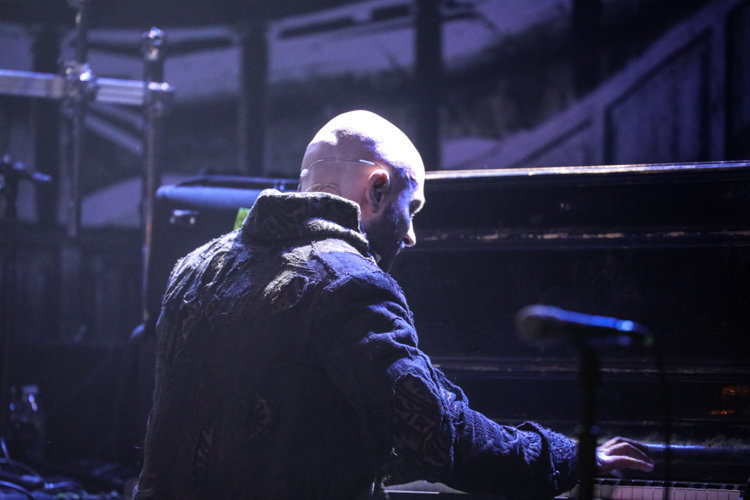 The lead singer took a moment to address the rowdy crowd and said the next song was going to be played for the very first time tonight. 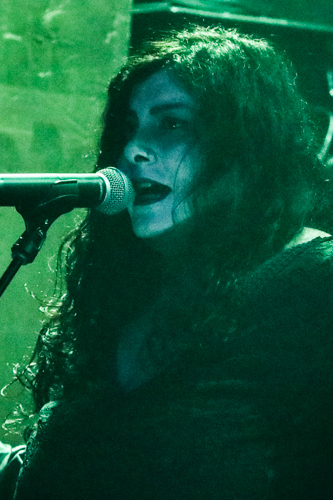 It was a new song from their upcoming album, and it was called "Sugar". 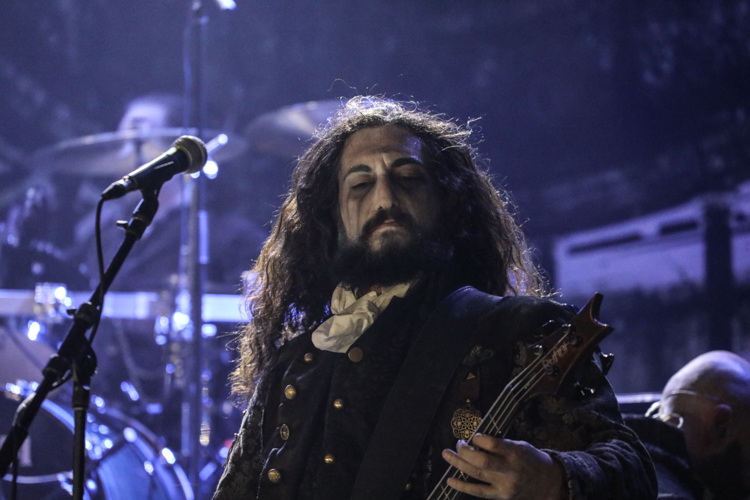 I am not sure what the story behind this song is about yet but it was amazing and intense live, everything there is to love about Fleshgod Apocalypse. 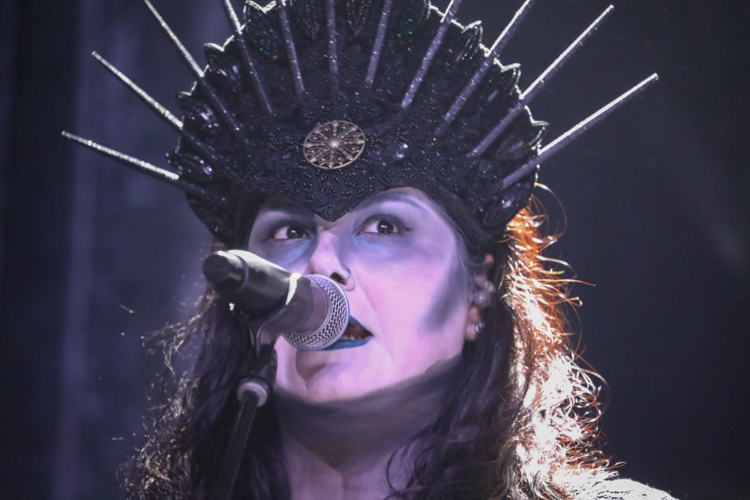 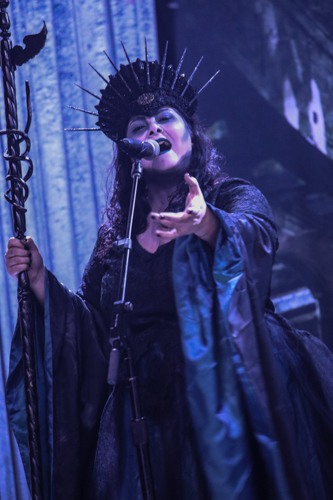 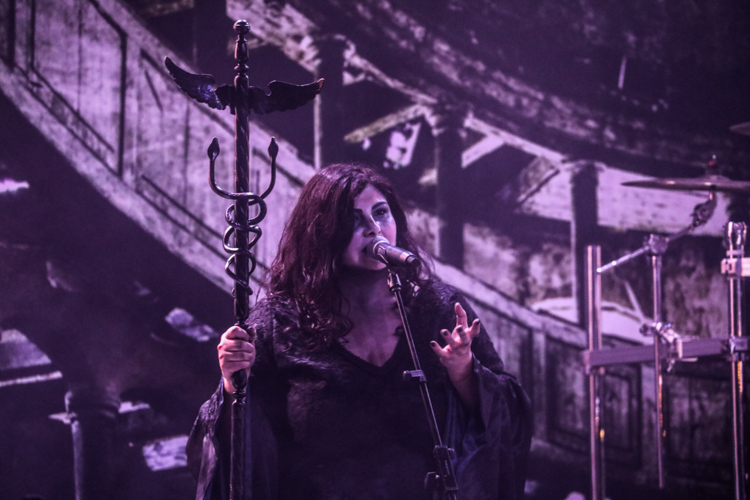 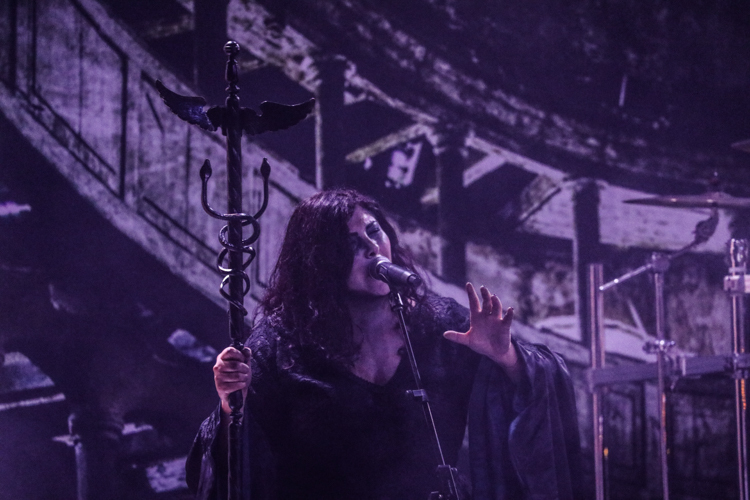 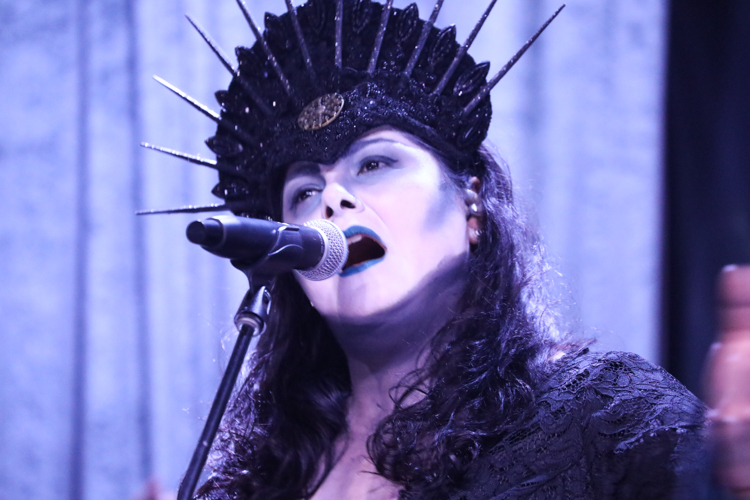 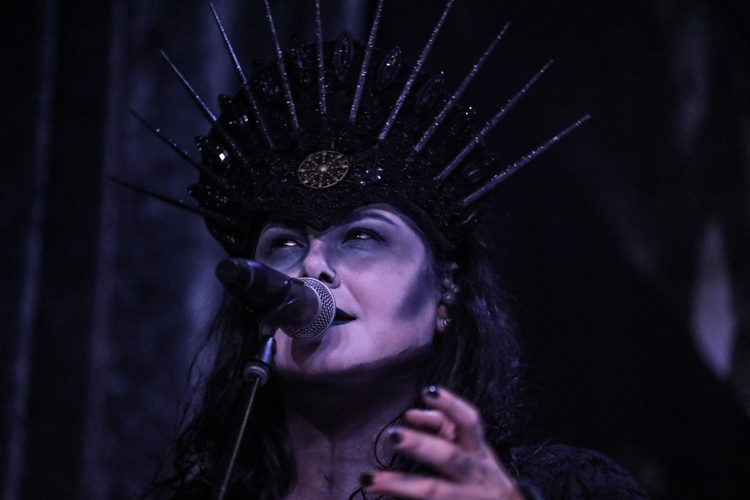 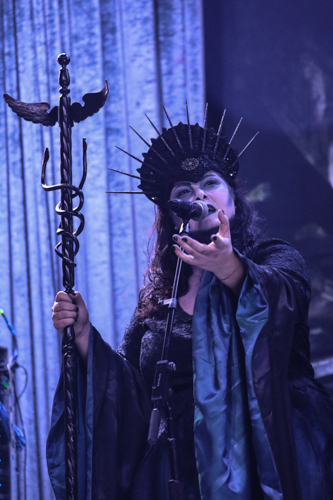 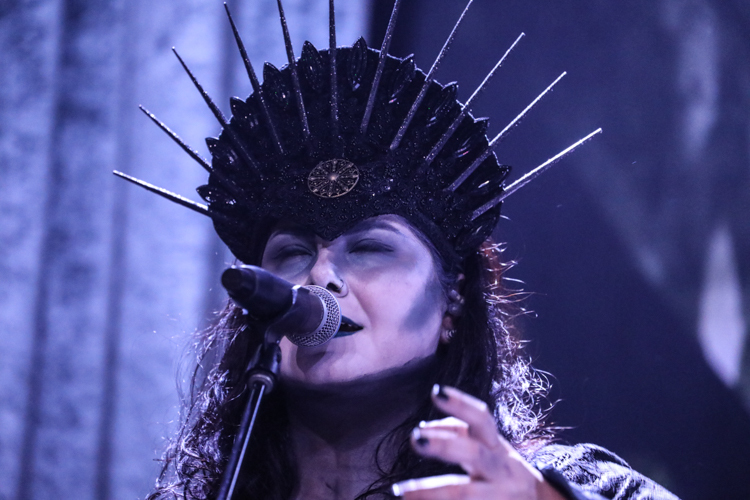 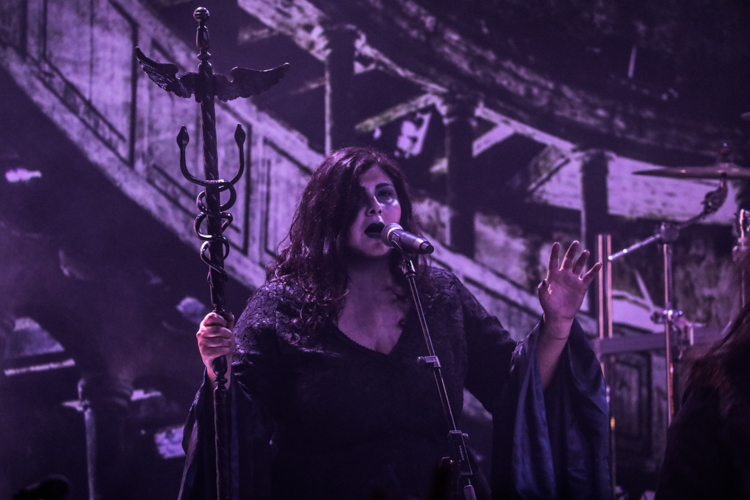 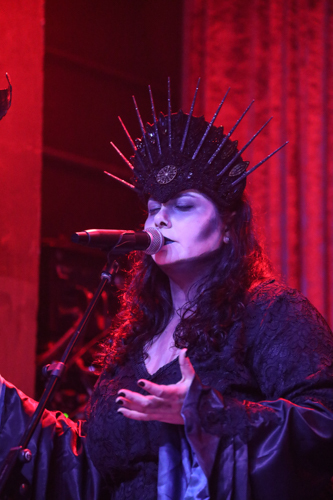 They did a deep dive on their "Labyrinth" album with three in a row, bringing a portion of that epic story focusing on the tale of the "Minotaur (The Wrath of Poseidon)" followed by the "Prologue" and "Epilogue" to their rendition of the myth. 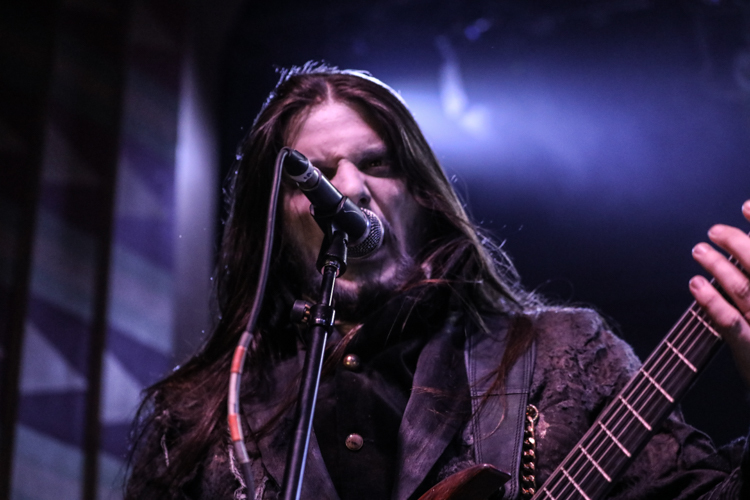 The circle pit never ceased the entire set and renewed with vigor as they gave us another new song from the upcoming, "Veleno" with the aptly named "Fury". 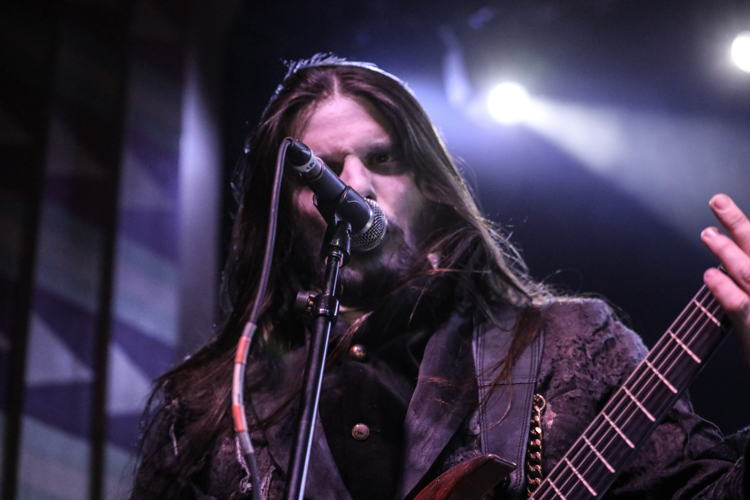 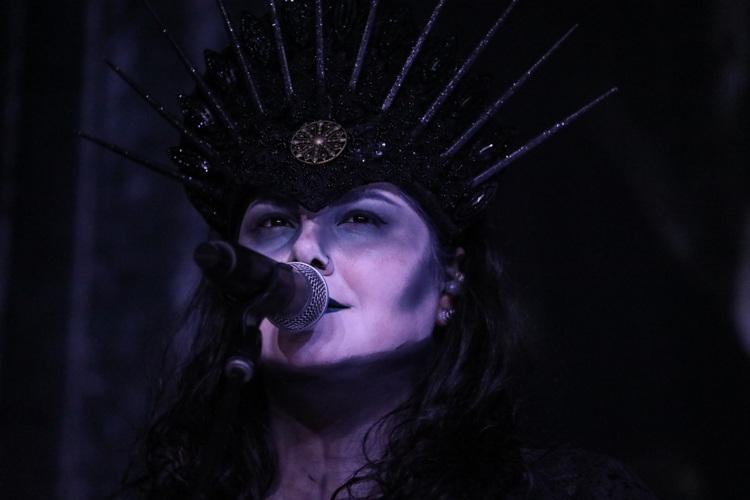 They finished up the night with "The Fool" from "King" followed by two from "Agony" playing "The Egoism" and "The Forsaking" as the closure to their stellar set. 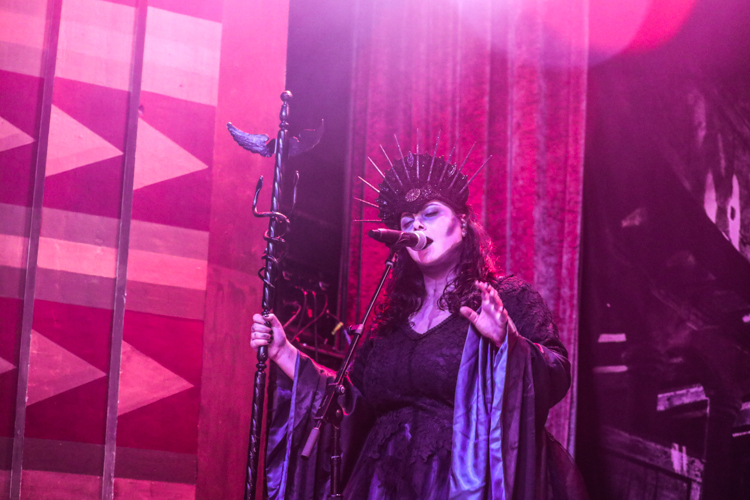 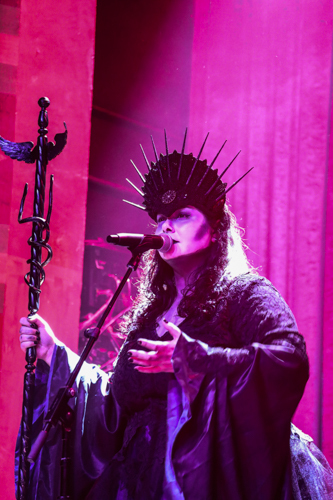 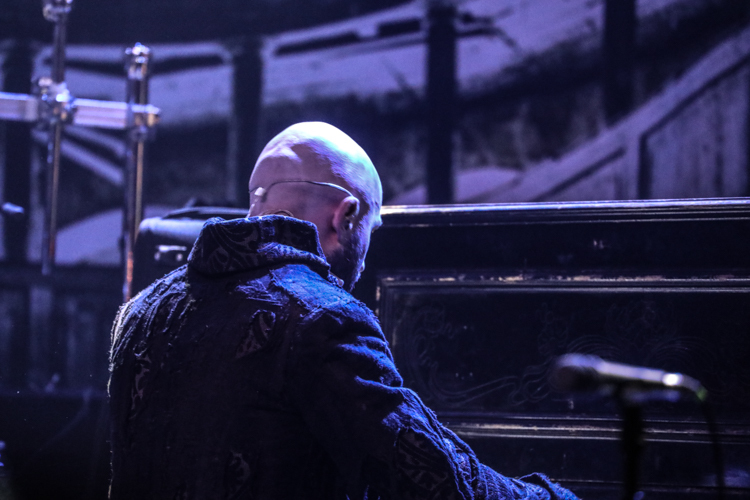 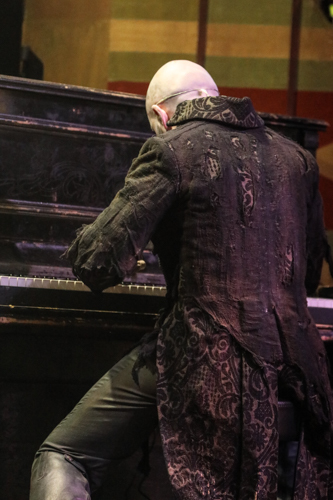 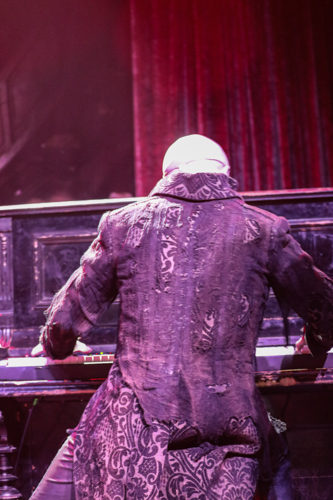 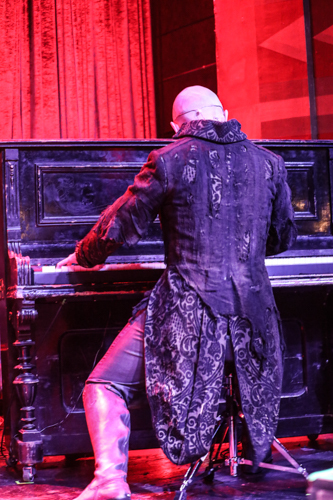 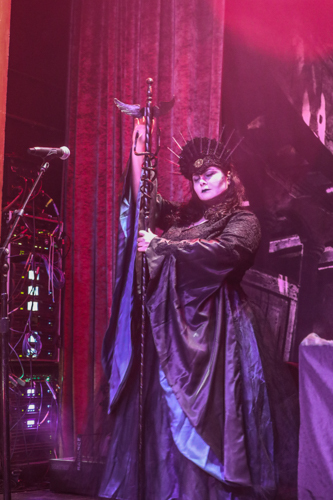 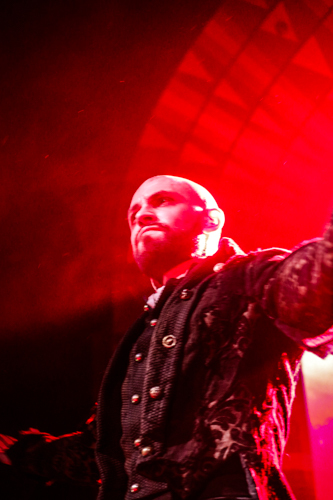 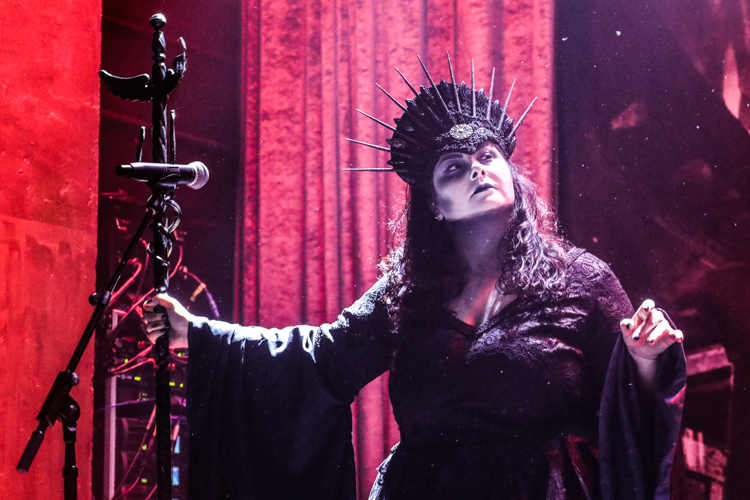 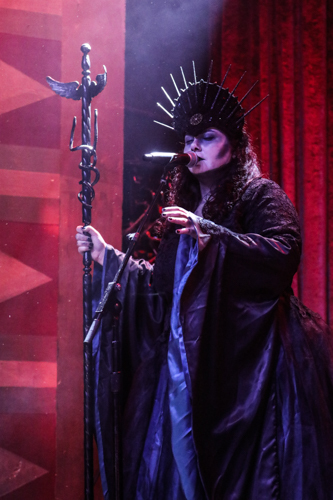 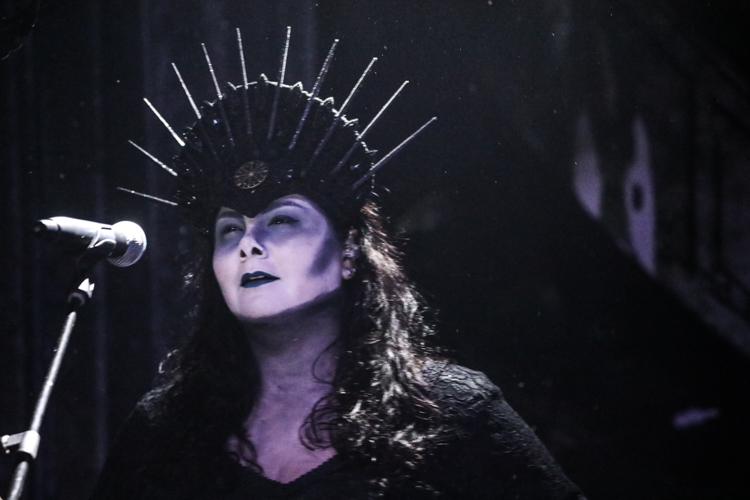 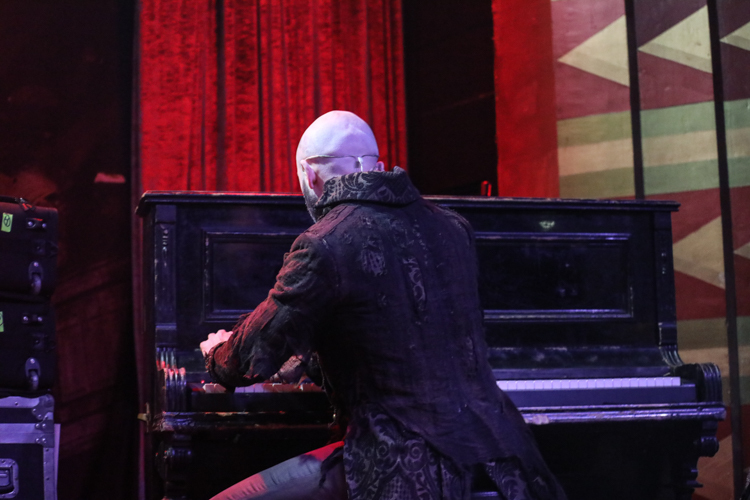 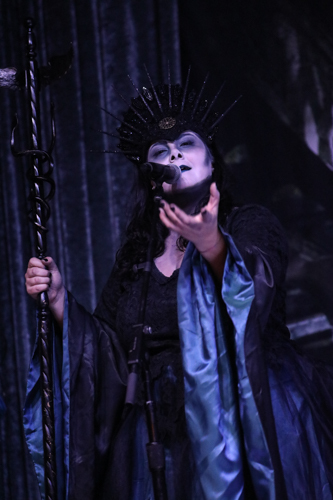 As if the musicality of their performance wasn't amazing enough, it is compounded by excellent costuming and poignant atmosphere with their on-stage personas and lighting. 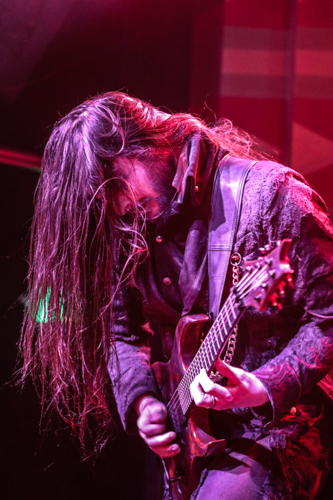 I really cannot recommend this band enough, especially in a live environment, as it adds so many additional layers to their grandiose art. 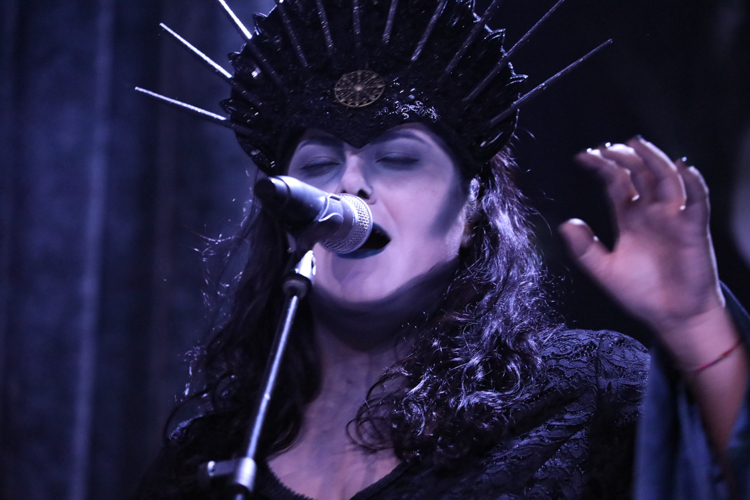 I am really looking forward to the release of the "Veleno" album in the near future and hearing the rest of what that tale holds.